Develop generic methods to extract information on human mobility patterns (where and when people are and who they are) and human-environment interactions (what they are doing and what are their preferences) from various social media platforms (Facebook, Twitter, Instagram, Flickr, Panoramio). 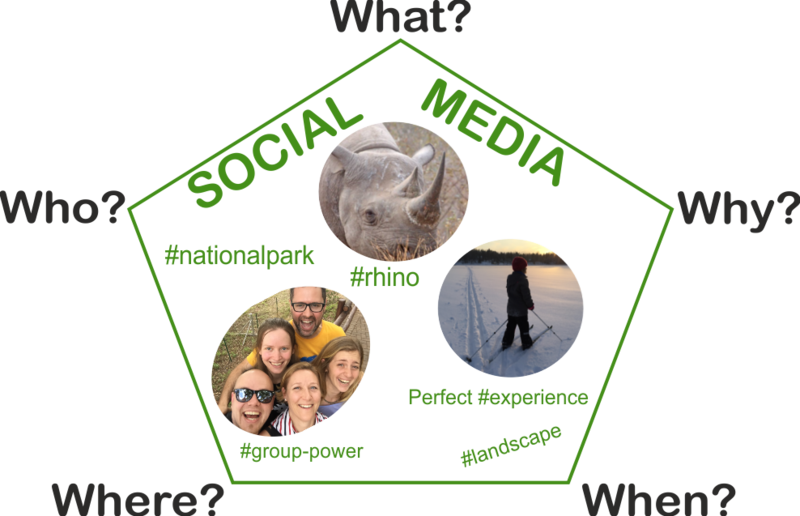 Dissect the potential of geosocial media data for conservation science and practice, with a particular focus on national parks and high biodiversity value sites in Finland and South Africa. Gain understanding on threats and opportunities for conservation at a national to continental scale (Europe and Sub-Saharan Africa) using the developed methods. The project collaborates with the national park authorities in Finland (Metsähallitus) and South Africa (South African National Parks). The work is funded by the Kone Foundation and the University of Helsinki. For other activities at our lab, see pages of the Digital Geography Lab at the University of Helsinki. Greetings from AAG, Washington D.C.! Our team members are visiting South Africa!